It's Not Work, It's Gardening! : Spider Surprise! 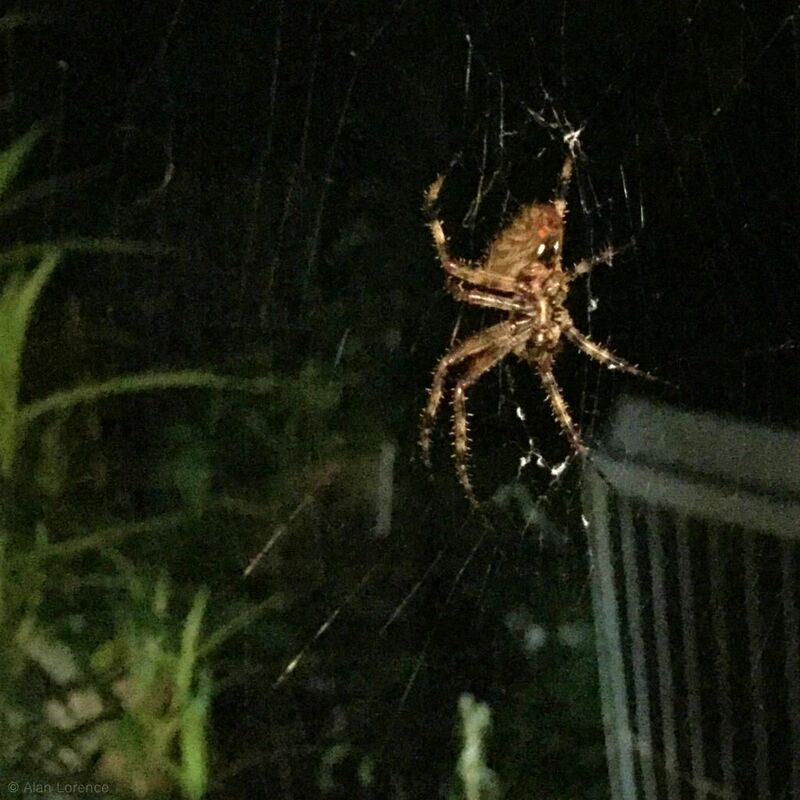 It's the time of year when the orb weavers and other big spiders are very visible in the garden. I've seen the large webs in many places for the last couple of weeks, and have run into those crazy strong support strands that somehow cross paths that span 7' (2m) or more. I got a surprise when I opened the garage door after dark yesterday though! ...but there it was, right in my face! Well, a little off to the side luckily. 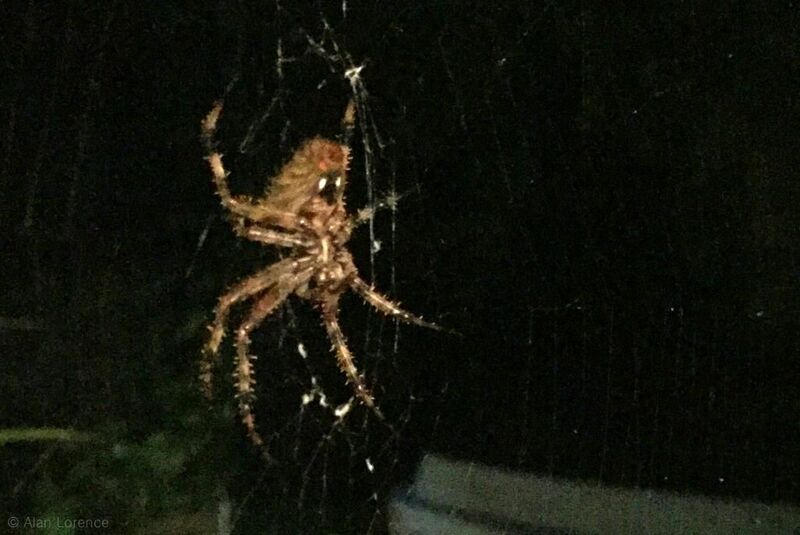 I wonder why they don't build these webs closer to the porch light? They must capture enough nocturnal insects in the dark spaces to make it worthwhile. Aren't they wonderful. The artistry of their webs and their eating of flying insects win my heart. Or maybe it was that whole Charlotte's Web thing. Whatever. I usually feel guilty when I have to destroy a web to pass. They are everywhere in my garden right now, and have been for weeks. There are a couple that have built webs in the corner of the windows, so I am consistently startled by them then remember they're on the outside. There is something that is so beautiful and creative about the web of a spider, even more special to see the dew drops hanging from the individual strands.